About Us - Company History - Timeline | JJ White Inc.
JJ White was founded in 1920 to the protection of the Blessed Virgin Mary of Lourdes, and we strive every day to operate according to the Christian values of honesty and respect. 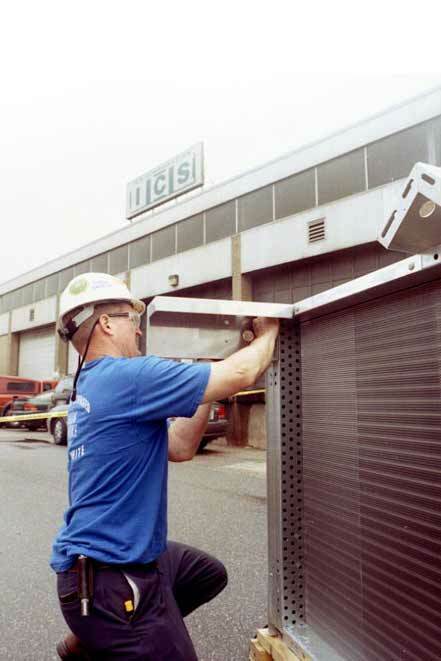 Since our founding as a mechanical contractor, JJ White Inc. has evolved into a single-source, multi-trade contractor with experience in a wide range of disciplines. 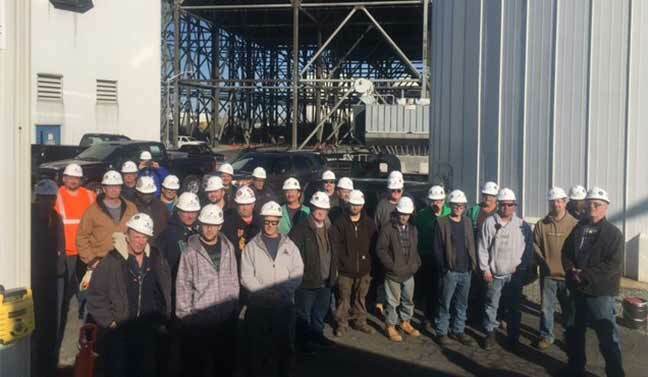 From constructing the first Houdry Fixed Bed Catalytic Cracking Unit to moving the Liberty Bell, JJ White Inc. has done it all. 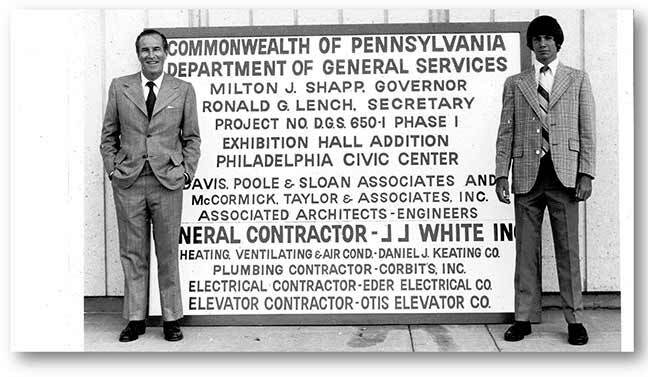 Based in Philadelphia, JJ White began as a single mechanical contractor in the Mid-Atlantic Construction Industry. The building would go on to be known as Memorial Hall and currently houses the Please Touch Museum. 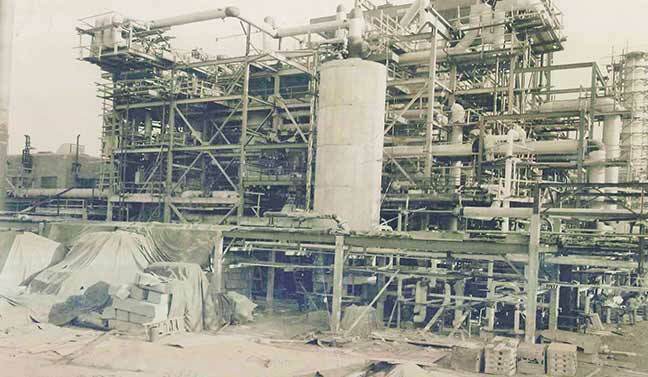 Constructed the first Houdry Fixed Bed Catalytic Cracking Unit. 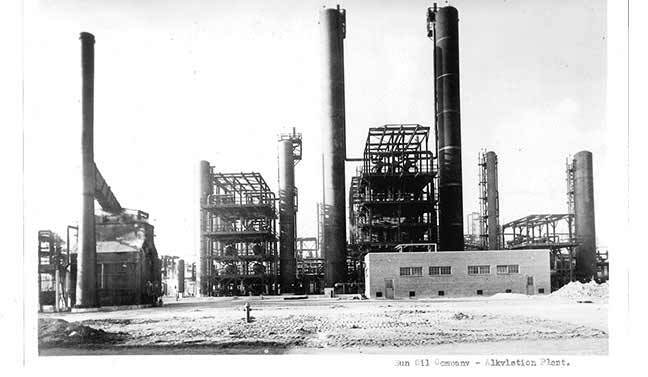 The Unit completes one of the most important conversion processes in petroleum refining and is widely used today. The valve revolutionized firefighting and saved the lives of hundreds of firefighters. 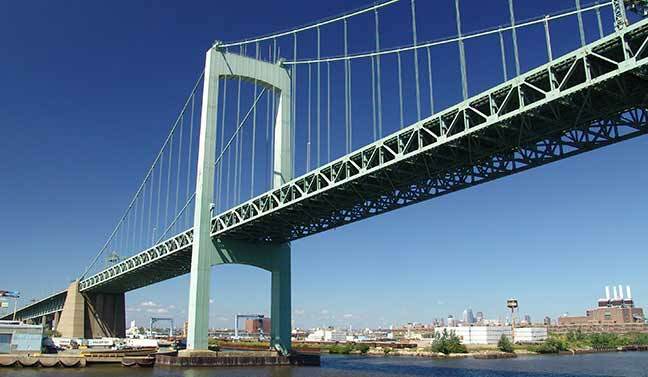 The bridge is one of the main connections between Philadelphia and the South Jersey region. Completed Heating, Ventilation, and Air-Conditioning installation for Veteran’s Stadium, home of the Phillies and Eagles for over 30 years. 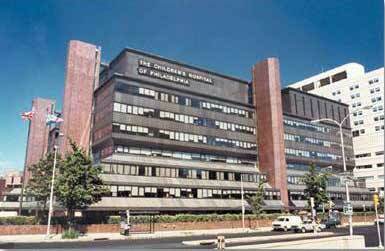 Completed the HVAC installation for the new Children's Hospital of Philadelphia. The first of its kind in the world with units dedicated to pediatric patients. Built the first new home since Pennsylvania Statehouse for our Nation's symbol, The Liberty Bell. Moved The Bell into the new Pavilion on December 31, 1975 to mark the start of our Nation's Bicentennial Celebration. The addition made it the largest of its kind in the country and especially suitable for the Philadelphia Flower and Boat Shows. The first major new school construction in Philadelphia in 30 years. 333,000 square feet on a fully developed 27-acre site. With peak employment of 1,600 construction workers, JJ White became the largest contracting employer in the Mid-Atlantic region. Built Cooper University Hospital/Medical Center's new Children's Hospital. It was the first of its kind in South Jersey. JJ White opens its Exchanger Hydroblasting and Extraction Services group based out of New Castle, Delaware. 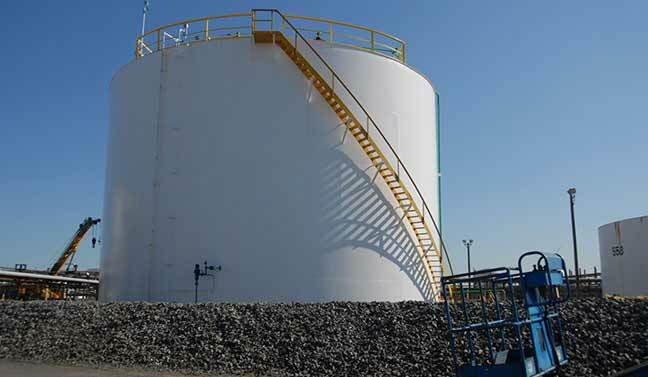 JJ White opens its API Tank Construction and Repair group based out of New Castle, Delaware. 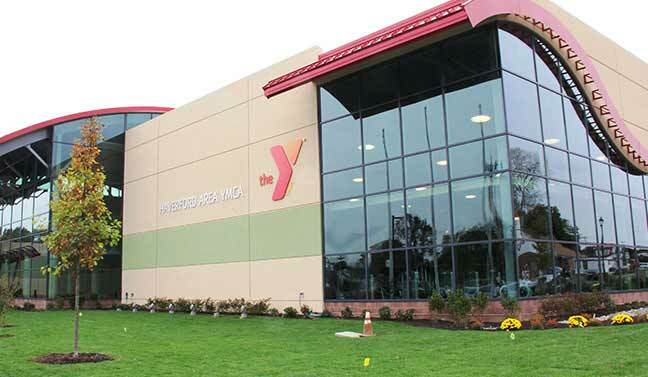 This modern, full-fledged YMCA was built on the site of a former "brown field" and has since become one of the busiest in the nation. Completed a high-tech renovation of the Cathedral Basilica of Saints Peter and Paul ahead of Pope Francis’ highly anticipated visit to Philadelphia. JJ White starts new contract in Boston and launches Northeast Office to bring the full range of JJ White services to the region. 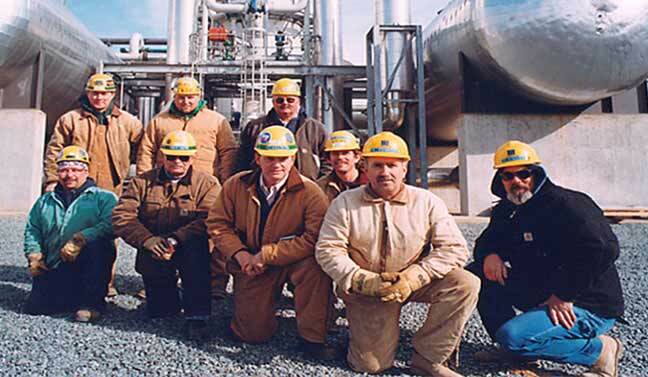 Behind every great success story is a team of hard working people. Find out more about the JJ White team and ways to join below.